Anyone in the Bellefonte/State College area that is looking to buy or sell their home, I cannot say enough about the Linda & Ryan Lowe Team! From start to finish they took care of everything. They are professional, efficient & knowlegable yet so personable and understanding. We sold our house much quicker than we had ever anticipated! Dayna Lowe, you are simply amazing and from the bottom of my heart I cannot thank you enough for all your hard work and going above and beyond for us. Your knowledge and attention to detail along with your positive attitude...no matter the situation...is priceless! You’re the BEST and we thank you so much! We had such a wonderful experience working with Mariam Lowe to buy our new house. We were living out of state and she was very accommodating with being able to get us multiple showings when we were in the area. Once we found the one we wanted she helped us get everything together and negotiated a great price for our "forever" home. We were so fortunate to find such a wonderful house that had everything we wanted in the State College School District and can't thank her enough. We would definitely recommend working with Mariam to anyone who is in the market for a new house! Mariam Lowe was amazing. She had knowledgeable answers to our questions throughout the process. When it came time to negotiate, she used that knowledge to lobby hard for what we wanted. Once we were under contract, she handled absolutely everything that didn't require our express involvement. Looking forward to working with her again! After over 25 years of paying two night minimums at escalating prices for local hotel accommodations while attending various Penn State functions, we contacted Lowe's RE/MAX Centre Realty to inquire into buying opportunities in the State College area. To our delight we were connected with Mariam Lowe. Mariam took the time to listen and understand what we were looking for. She held our hands through the process of evaluating options and was extremely accommodating to our schedule as we visited State College throughout the Fall. Eventually we found a property that met our needs. Mariam proved to be a very effective experienced negotiator on our behalf. She continued to manage all the closing details, right up to actual document signing and us receiving the keys and the "infamous" Lowe Blanket. Even after closing Mariam continues to provide us support with local painter and electrician recommendations. Our experience with Lowe's RE/MAX Centre Realty was nothing short of exceptional and we highly recommend anyone interested in buying in the State College area to contact Linda & Ryan. You can't go wrong with their team! We relocated to Centre County, and Mariam Lowe was our realtor. She was fabulous! She always answered our calls and texts, very timely, and was so pleasant and knowledgable. We felt comfortable with her from the beginning, and went to closing on our new home with a feeling that we had a new friend. I would highly recommend her! Ryan is a great realtor and communicator. His knowledge of the local area was impressive and he was always responsive to my husband and I in the process of buying our first house. Even when we asked him a million (and at times, silly) questions, Ryan was patient and understanding and I never felt pressured. He did a wonderful job of walking us through the steps it takes to buy a house and we felt that he truly cared about finding us the right house for us. Oh, there were bumps in the road in terms of buying our first house, but I always felt as though Ryan was on our side and made sure to present all of the options and then let us choose the path to the future. I loved how when showing us a house, he let us do the exploring instead of leading us around. I would highly recommend Ryan and endorse his skills and expertise. Linda & Ryan Lowe are very experienced realtors and absolutely wonderful to work with. In fact, we have listed our last two homes with them and both were quick & easy transactions. My husband and I were sure that our home would take a very long time to sell, because we had started remodeling it and were not able to complete the renovations before we needed to relocate for my husband’s work. Ryan knew exactly how to list the home and also was able to convey to other realtors what a great value our home actually was. We signed a seller’s agreement with the new home owners in one week from Ryan actually listing our home and posting the "For Sale" in our yard. We also received almost full asking price, which was completely amazing to us. I would highly recommend Ryan to all my friends and family! Mariam was just the best! She dealt with the trauma while shielding us from it until it was over. She was always available to us and, while it is always stressful to buy a new home, she made it fun! AND (I wish I had video) she cleans stainless steel! Thanks for everything Mariam! Our place is perfect! My agent was a Mariam Lowe. I would be more than willing to recommend her to anyone. As a first time home buyer, I did not have any experience with working with an agent. My father however has bought and sold not only homes but businesses and was also impressed with Miraim. I had many questions going through this process and I asked them whenever they came to me. Mairam was very prompt in replying, even on nights and weekends. I could not asked for anything more from a realtor. Mariam made the experience as stress free as possible for me. Great job Mariam! I had the pleasure of working with Ryan Lowe in searching for the perfect house for myself and kids. Ryan is extremely knowledgeable of the industry, the county and does not have the stigma of a pushy Realtor looking to just sell a house to anybody. I felt Ryan and his team always had my back and were honest in sharing their opinions. Ryan made my home purchase go as smooth as could be expected, and when we did hit a few bumps in the road, he stayed by my side until everything was settled. I came to Ryan not having a very high regard for realtors, I am happy to say that Ryan and his team are far from being a usual real a state agent and go above and beyond to assure you find a home that is right for you. Thank you Ryan! Ryan was great at being very willing to show us a bunch of houses in chunks. Once he knew our price point and the type of houses & neighborhoods we were interested in, he did a great job at identifying a number of houses we should look at. He also never pressured us into putting in an offer -- this was huge for me. Ryan Lowe was a great asset in the sale of my parents home. He made me feel as though I was his only client. He was readily available and always returned my calls promptly. He even helped arrange for help with cleaning out last minute items from the home. I highly recommend Ryan. From the moment we decided to buy a house, one of the first teams we kept hearing about was Linda and Ryan Lowe and upon making our decision we have been beyond pleased with the service we received. From the knowledge our Buyer Agent, Mariam Lowe, had about property in the area to her responsiveness to our questions and concerns at all times of the day or night, we were in good hands. As first time home buyers she took really good care of us and walked us through all of the difficult parts and guided us to helping choose our lender, our home inspector, and even our pest control guy. If you are looking to work with a team that is respectful, will spend time getting to know you and your family’s wants and needs, and will go above and beyond to help you and your family make the best possible decision on your new home, then we’d have to recommend the Linda and Ryan Lowe team. For us it was the fact that this is their family business and that our agent made it her business to look out for family. Hands down we do not think you can find a better team of individuals to work with and I would not even encourage you to try. Linda was a joy to work with on our purchase and selling of homes! She helped with any additional contacts when we needed them. I will definitively use her services again in any realty transactions. We were looking to buy our first home and we were glad we had Ryan to help us through the process. He was accessible at all times, answered every question we had and explained each process. Ryan quickly figured out exactly what we were looking for and tailored our visits to match our requirements. When it came time to make an offer, I was glad Ryan was in our corner. We closed well below the asking price and comfortably inside of our budget. As we worked through the closing process Ryan was again incredibly helpful and took the time to explain each process. He made sure we had everything we needed so that at closing we were over prepared, which made the close very smooth. I could not be more pleased with our experience and I highly recommend Ryan to anyone in need of a Realtor. Being first time home buyers, my girlfriend and I had little experience with the real estate transfer process and it seemed daunting at first, but Mariam Lowe went out of her way to make sure we truly understood every step along the way and ended up with the perfect home. When we first met her, Mariam gave off a warm vibe and was very personable, but also very down-to-business and professional. Mariam was prompt, early to all showings, knowledgeable of the properties, and most importantly, completely honest and open about all property information. She was engaged in understanding what my girlfriend and I truly wanted in a home, and cared that we end up in the right home, rather than just a home. When we had found the right home, we put an offer on it, but another offer came in at the same time. Mariam was not afraid to be a bit aggressive in order to secure the acceptance of our offer, sweetening the deal for the seller while keeping our financial concerns in mind. She informed us of her strategy and, of course, asked our permission to be a bit more aggressive. Finding our offer more attractive, the seller decided to work with us instead of the other potential buyer. Mariam managed to make all of this happen late on a Friday night, well beyond normal office hours. Once the offer was accepted, she actively kept me aware of deadlines and guided me through the financial aspects of securing the transaction, acquiring a mortgage, and handling negotiations and closing costs. Mariam provided us with plenty of local options for home inspectors, loan providers, and attorneys and her recommendations were top-notch. During the buyer/seller negotiation phase, Mariam took it upon herself to ensure the seller was fair. In fact, she convinced the seller to cover more than we had originally expected them to. After a couple rounds of negotiation, Mariam was able to convince the seller to fully replace a broken water heater, replace a tub pump, and get a furnace servicing. She also made sure the association we were to become a part of fixed a drainage issue. All of this with minimal effort from us, but plenty of communication from Mariam to us. Mariam was wonderful even after closing. She surprised us with flowers and a high quality blanket to welcome us to our new home, and she provided us with a rental truck, free of charge, to help us move in. In conclusion, I highly recommend Mariam Lowe as a buyer agent. She was insightful, responsive, professional, and made it her mission to get us moved into the place we now happily call home. I worked with Ryan directly. He was very nice and polite and very prompt. He did not push us to do any changes to the home like some others had tried making us do. Ryan really understood our unique situation and did everything in his power to help quickly. Highly recommend them to anyone. In the end we decided for personal reasons not to sell. As a first time buyer I wasn't quite sure what I was getting into. Mariam Lowe guided me through the process from start to finish. She helped me find the perfect house for me, kept me in the loop regarding the process, and made sure I had everything I was required to do submitted correctly and on time. Every question I had was promptly answered and every concern was looked into and resolved. I highly recommend Mariam as a buyer's agent! Mariam helped me purchase a home and she was awesome in helping me with the offer negotiating the terms of repair from the house inspection and having the home owner fix all the main issues before we agreed to buy the home. She was very professional in helping us out no matter what the time of day. We would talk at 12am 6am 8am 3pm 8pm or 11pm. If needed, she was there for any questions or concerns. Very satisfied and will refer to future home buyers. Mariam was helpful and very quick to respond. She satisfied helping me through all the steps of the home buying process and if she was unsure she made a point to find the answers to put me at ease. We worked with Ryan as our realtor - he was very accommodating & showed us so many homes before we made our choice! He was very knowledgeable and easy to get along with! Thanks again Ryan for all your help! We worked with Ryan after having 2 so-so real estate transactions with other brokers in the past. This was by far the most positive experience. Ryan was very upfront with us about how to aggressively sell our house (we were under contract in less than a week!) and we always felt like he "had our back" when the buyers' agent was trying to pull some bizarre stuff. We will definitely be using him in the future. My husband and I were in the process of relocating to the State College area and came across Ryan's sister hosting an open house. She gave us Ryan's card and we never looked back! Ryan has the patience of a saint and has a way of being so supportive especially during a stressful time with moving. Ryan always made time to show us homes when we were up for the weekend, without hesitation. Ryan even took the time after we made an offer to let my mom see the house when she came down to visit us. Ryan, being from the area, knew where to take us from our laundry list of wants and needs. He is very knowledgeable not only with the area, but also gave us many recommendations on who to call for little upgrades that we wanted to do. I would recommend Ryan and Linda to anyone and I consider them our friends! Ryan handled everything for us. Selling a home was made so easy through him. We had nothing to worry about, Ryan handled everything. Ryan answered all of our questions when we met with him. Ryan always returned our phone calls and kept us posted about the home we were selling. This guy is very knowledgeable. Working with Mariam was a class act...she became like family..Very concerned with the process, my moving issues, finance...etc...Simply does not get better than this. Her and HER TEAM are an unbeatable force to be reckoned with...they know the area, the market and the people. Ryan did an amazing job selling our house. He gave us a fair estimate of it's value (which was higher than we expected) and it was under contract in 10 days. He navigated through the home inspection and when the buyers initially asked us to do some work which we felt was unreasonable, he took care of all of it and we ended up not needing to do any work or re-negotiate the price. If we had tried to sell it on our own, we would have listed it for a lower price and had more trouble negotiating. If we ever move back to the area, we will use him again and would recommend no one else to our friends. We worked with Mariam Lowe. She was our buyer's agent and did an excellent job. She helped us make an informed offer and helped us negotiate and navigate the process. She was very knowledgeable and helped us understand each step in a very long drawn out negotiation. Mariam is a great buyer's agent! She was patient throughout the process and coached us when we were struggling to make decisions. She was very responsive and clearly has a strong work ethic. Her professionalism, knowledge, persistence and negotiation skills helped us purchase a beautiful home! Linda was terrific for us. She got us to make an offer on this house for which the sellers already had a contract; difference was that our contract was contingent on financing versus the other offer contingent on sale of their home. We were nervous that we'd get financing and still have our other mortgage...No problem: Linda sold our home in 2 weeks, our financing was approved and we've been happy here ever since. Linda did a first rate job for us, was rock when we were a bit anxious, never misled us and got us the home we really wanted. Thanks for all you did for us! We've bought two houses with Ryan's assistance and sold one. Each time it has been a great experience and it's obvious he really knows the local market. He is very big on communication and has offered excellent advice countless times for a variety of home improvement projects. Ryan was great to work with from start-to-finish! Our home sold quickly, the entire process went smoothly and we were kept informed at all times. The whole team was responsive and professional. Highly recommend!!! Ryan did a great job helping us find our home. We were first time home buyers and he answered all our questions and helped us through every step of the way! Would definitely recommend Ryan to anyone! He got back to us almost always on the same day if we had a question. We needed a home very quickly in the state college area. Without meeting me and only having conversation over the phone the Lowe's exceeded our expectations. I was able to fly up for less than 24 hours and put an offer on our home!! Professional, responsive, helpful with everything from schools for kids to grocery stores. Our family is thankful for the Lowe's!! My husband and I were getting discouraged through our first-home search process until we were referred to Mariam Lowe of the Linda & Ryan Lowe Team. Mariam took our search seriously and wasn't afraid to tell us if a house wouldn't be ideal for us. She responded very quickly to my frequent emails, texts, and calls regarding potential homes (and especially throughout the closing process) and wouldn't hesitate to meet us during evening hours to show homes after our work. Mariam helped us find our perfect first-home in our desired neighborhood at a great negotiated price. We love our house and are very happy making our personal touches. Thank you to the Lowe team for not only letting us use the moving truck,the beautiful blanket and the roses, but for treating us right and showing us homes that you would feel okay showing your own family. I highly recommend Ryan and Linda Lowe and the Lowe team for the purchase and sale of a home in Centre County. Our most recent experience with the Lowe team was the sale of our house. We got an honest and accurate assessment of the value of our home . The biggest thing that stands out about the Ryan and Linda's listings is the online presentation. The photography and write up are above and beyond anything you see from other local agents, especially at our price point. The Lowe's sold our home in 2 weeks, in the winter, and I think the online listing was a major contributor. The other major advantage to using the Lowe's is the level of organization and service provided by the entire team. Ryan and Linda were very accommodating of our schedule with young children, and were always on the same page throughout the process, so we also had an informed person to show us homes and answer our questions at all times. The overall level of service and attention is top notch. Finally, after selling our home, we explored buying again but decided to rent due to the short time we will remain in the area. To help inform our decision, the Ryan showed us a number of homes and answered a lot of questions. At no point did we feel any pressure to buy, and always felt we got very honest answers from Ryan. I have and will continue to recommenced Ryan and Linda to friends and colleagues. Very professional. Helped us look at over a dozen houses without any complaints and helped us through buying our first home. Ryan also taught us what to expect with buying our first house and when to do everything needed with buying a new house. Ryan was extremely professional yet down to earth and easy to talk to. He was not overbearing in the home buying process which made it easier for us. My husband and I would recommend Ryan to anyone who is interested in buying or selling a home! Ryan worked with me for almost a year before I found the house that was right for me. Throughout the whole process he was very helpful with his suggestions and knowledge of the housing market. He was very accommodating and flexible. He always worked around my schedule and when he couldn't he made sure that someone could. I would highly recommend Ryan Lowe to anyone looking to purchase or sell property. Linda and Ryan are great to work with. They are extremely professional in all their dealings and make the experience of purchasing property as simple as possible. We have recommended their services to others, and will continue to do so. We have sold two homes and bought twice with Linda & Ryan Lowe - once in 2004 and again in 2013. They are top notch in customer service. I feel like Ryan went above and beyond to make our experience a pleasant one. That was not easy since we sold a house and bought one with a same day closing both times! I wouldn't recommend anyone else! I worked on several negotiations with Ryan when I bought a house in 2010. He represented me extremely well. From being on the phone talking through negotiations and paperwork late into the night to negotiating aggressively on my behalf, Ryan demonstrated over and over his commitment to me as his client. In the years since the purchase Ryan has continued to be responsive to my searches for additional properties and even available for general advice on real estate questions. I recommend Ryan and his team enthusiastically and without reservation. My wife and I have recently ventured into the line of acquiring residential rental properties. So far we have only closed on one property but the Linda & Ryan Lowe team has extensive knowledge in our desired area along with a wealth of expertise in the rental business. I worked with Ryan Lowe and he did the best job of any real estate agent I have ever worked with in the 40 years that I have been buying and selling real estate. I would recommend him with no reservations. Ryan was the dual agent(his mother the seller's agent) for my first house purchased in July 2012. Being a foreigner with fewer than 5 years in the U.S, most of which was spent in bad grad school rental properties, I had very limited experience with every aspect of housing. Ryan was patient enough to explain everything in layman's terms to help me get a good foothold on them. I have nothing negative to say at all. It was a great experience. Mariam was very patient with a first-time home buyer and guided me through the entire process. She provided me all the information necessary to make informed decisions. If only the loan process was as efficient as her. We cannot say enough about everything that Ryan did for us. We moved into the area from out of state and did not know where to start. Ryan worked with us every step of the way, helping us to get to know the area and the market. He even picked me up from my hotel on my first visit to State College and took me to see several properties so I could get a feel for the area. He did not seem to care that we had a low budget for our home purchase. He put so much time in that you would think we were buying a million dollar home. He was an excellent negotiator, was extremely knowledgeable about the entire county, and worked hard to keep us on our tight timeline. He even helped us when our mortgage company became problematic. We cannot say enough about Ryan and everyone that works at his office. We would highly recommend them to anyone looking to buy a home in Centre County. Really easy to work with. Pretty accommodating as well. Gives great suggestions but will not force them upon you. Made the whole buying/selling experience much easier. Went above and beyond to find properties that met our specific needs. Found properties that we had already passed over. We ended up buying a house we assumed we went interested in. Ryan has his fingertips on the pulse of the real estate market in the State College area. His knowledge of the area is extremely valuable and his interest in finding sellers or buyers for his clients is genuine! We were first time home buyers and moved from out of state. My husband made the following comment, which exemplifies our experience in working with Ryan, "I not only feel that we gained a realtor, but a friend." As first time buyers, we naturally had a million questions and not one went unanswered. I jokingly commented that Ryan never slept because his response time was impeccable. Ryan and his team made our experience more than positive and I would highly recommend them to anyone looking to buy or sell in Centre County. Their knowledge, experience and community involvement is evident. Fantastic realtors and fantastic people! My experience with Ryan was very positive. He was patient while we looked at many properties, always glad to offer his opinion when asked, but never pushy. We were fortunate that Ryan found the property we eventually purchased. Ryan was also great when the underwriter(s) required ridiculous stipulations. I'm very happy to recommend Ryan to anyone. I look forward to working with him again in the future. We dealt primarily with Mariam Lowe as our buyers' agent. She did an excellent job taking care of our needs and working with us. This process went very smoothly and she was very prompt in answering our questions. We were very pleased with this experience. We recently purchased a home through Mariam Lowe. Mariam was professional, efficient, and quickly responded to our questions and needs. A smooth and seamless transaction was obtained. We will use the Lowe team for any future real estate transactions. Very helpful with the purchase. Quick response to all questions and could not have been any better to work with. Helped with explaining the area and provided the names of resources to get repairs made to the property. We had to negotiate and sell long distance, and the Lowe team made it so simple for us that we barely noticed the transaction was happening. Their advice about how to prepare the house for listing was spot on- they didn't have us do things that were unnecessary but chose things that really made a difference. They took care of every detail for us, I can't thank them enough. I will definately recommend Linda and Ryan Lowes/ ReMax Centre Realty to EVERYONE buying and selling. I had the pleasure of meeting with Mariam Lowe and from the beginning she was knowledgeable, understanding, and was always reachable through the phone, email . She was prompt and a professional in the field of Realty! We closed on my second home in Philipsburg,PA (Centre County ,PA ) on time. I would not have been able to do this "on time” without Mariam. I love my new house and can't wait to add new memories and make it my home. If you are looking to buy in Centre County, I highly recommend Mariam Lowe. Thank you Mariam for making it happen. Ryan and Linda Lowe provided us with quality service during the “relocation” sale of our home. They were prompt, hard working, provided excellent communications, and navigated with precision through the mounds of paperwork required by the Relocation Company. Due to their expertise in real estate sales, and the knowledge of the State College market, we had a full price offer on our home in less than two weeks, making the sale of our home a painless and profitable process. Our experience with Mariam was outstanding. She quickly zeroed in on our desires and gave us continuous updates on available properties. She was very responsive to our scheduling requirements. We would be pleased to recommend her to anyone looking for property in the State College area. We honestly could not have asked for a more knowledgeable and helpful realtor than Ryan, along with everyone else in the office. Not only did he know the market and the process inside and out, as well as give us excellent and honest advice, Ryan was available for any little issue regarding the process, all the way down to recommending a good local handyman. You can't go wrong! I can't say enough positive things about my experience working with Team Linda & Ryan Lowe! Mariam Lowe was AMAZING! As a first time homebuyer, she worked hard to find my family and I the home of our dreams and respecting our budget. ANYONE looking to buy or sell in the Centre Region should definitely give Team Lowe a try; I know Mariam and her team worked hard to ensure my family and I recieved the best deal on our home. Mariam personally attended all meetings, both formal and informal and represented my family in a positive manner. I never had to worry about whether or not I was in good hands. As a first time home buyer, I received recommendations by many people in the local area to contact Ryan Lowe as I pursued my first home. Ryan's expertise and step by step explanations were far and beyond what I have expected from a realtor in this process. Not knowing what I was getting into, at all, Ryan was always clear and concise with his true and honest opinion no matter if his explanations would turn me off to the specific house, and continue my search. He not only worked countless hours with me over a 2 1/2 month time span but made sure throughout my buying process I have kept up to date with approvals, inspection details, and my personal progress of completing minute tasks for the property. I have yet to come across any home buyer who has worked with Ryan who's had any different experience than what I received. Class act, determined, and motivated... all for his clients. Side note: Ryan and I still keep in touch weekly from the friendship we had crated back in March of 2012. Ryan Lowe helped my sell my townhouse and buy a new single family home. It was a pleasure to work with him and his entire staff. The Lowe team is incredibly knowledgeable and was always quick to respond. I will and have been recommending Ryan Lowe to anyone I know. And, I can say with 100% certainty that I will use Ryan Lowe in the future for any real estate needs. I know it doesn't normally happen this way, but our previous house went on the market on a Thursday and was sold that Sunday. I believe it had a lot to do with following what Ryan suggested we do in order to sell the house. When it came to buying a house, we were looking in a certain price range. After looking at several houses over the course of a few weeks, we realized that we were looking at more than we could afford. We told Ryan and he immediately readjusted the sights and found exactly what we were looking for in the range we could afford. After looking at a few properties he helped us negotiate a more than fair deal on the house we bought. People have told me that Linda or Ryan took a couple of days to get back to them initially, but that is not indicative of the service they provide and what they gave us. What I will say for Linda and Ryan is they will make suggestions and you should follow them, but in the end they will do exactly what you want and they are very prompt. You really cannot ask for better service!! When you list with Linda and Ryan Lowe you have access to an entire team of real estate professionals, they provide terrific customer service. Ryan work late into the night to complete the sale of our home before a holiday weekend. I would not hesitate to use them again. Ryan is the BEST! He is so wonderful to work with, very patient and laid back, yet knows exactly what he is doing and can answer any question you have. He will even bring in contractors to get estimates if there is construction you would like to do on a home you are considering buying. I've worked with Ryan Lowe on several occasions and could not be happier with the service. The team of Linda & Ryan Lowe are professional, courteous and very customer service oriented. You could not ask for a better team to be handling your real estate needs. Ryan was my agent for buying a house. They took care of almost everything including small details like setting up an account with the borough for water/sewage/trash. Buying a house can be stressful but with them it was no problem at all! When we move here from Washington, DC, Linda was the sellers' agent, and Ryan was the buyers' agent for us. Ryan moved us seamlessly through finding a killer house on the Penn State golf course (2nd tee! ), coordinating with us while we put our place in DC on the market, working with the myriad of mortgage lenders, home inspectors, etc. and getting us into our home within ONE MONTH of our putting in our offer. There was so much to do, and Ryan was instrumental in getting everything moving, planning contingencies, and doing everything for us long-distance to get all the gears to mesh perfectly. He was incredibly responsive to every question and request, spoke to us honestly about our options and strategy, and worked really hard with all the other players on this end. Far and away the best, friendly, low-pressure service I have ever experienced in real estate transactions. Our house-buying experience went extremely smoothly with Ryan as our agent. He was extremely responsive at all times and was very friendly and pleasant to work with. He went above and beyond his duty by assisting us with dealing with post-purchase matters before our move-in date which was invaluable to us as we were relocating from afar. We highly recommend Ryan Lowe and would not hesitate to use him again. 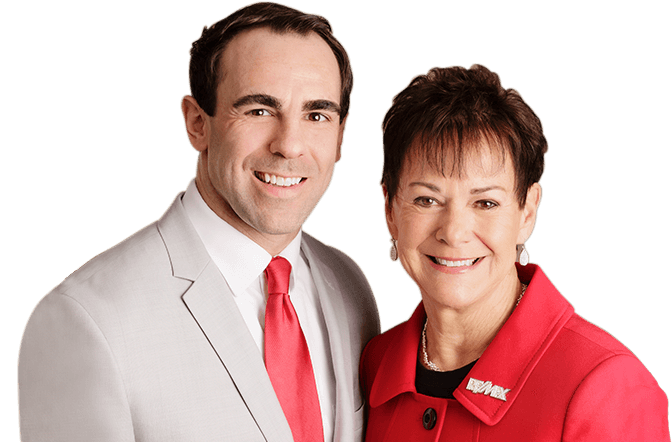 We highly recommend Linda and Ryan Lowe Lowe! We have purchased nine investment properties through Linda and Ryan in the last seven years. They sold six of the properties, which we "flipped." They also sold our own home when we moved out of the area. They helped us list our properties for the right prices and sold them all quickly. We have always been impressed with their professionalism and their commitment to finding the right properties for us. They met our high expectations again and again. We could not find realtors like them when we moved and have called for their input more than once. We have recommended them to many others. They are the only realtors we would work with in Centre County! Linda and Ryan's team helped my wife and I make a short-distance move, within the State College area. Our growing family required an upgrade. And, even though the process of listing/selling our old home and finding/purchasing our new one took almost nine months, their expertise and knowledge of the market came through for us on both ends! The toughest part was finding a buyer for our old home, because it was a small, two-bedroom "starter" unit. But in the Autumn of 2011, Linda found a client that was a perfect match for it. Other realtors had called and arranged showing appointments, but Linda came through big time for us. And now that we've been in our new home for four months, we couldn't be happier! Even though I never met Ryan or Linda, I always felt that they had been very professional, prompt, understanding and immediately on top of the subject. Within 21 days we had an offer and we closed within a months. I couldn't have asked for a better realtor. Thank you so much for all your efforts again. All the best in the future. You are the best! We worked with Ryan to purchase our first home. Ryan and his team are truly fantastic. To sum up our experiences with Ryan, we would highlight the following four characteristics: 1) Professionalism – First and foremost, Ryan and his team show a great deal of professionalism at every step of the process. 2) Timeliness – Ryan epitomizes being “on the ball.” He answered us with thorough, helpful responses at nearly any time of the day. 3) Friendliness – Ryan is friendly and easy to get along with. He cares about his customers, and that shines through his interactions during the home buying process. 4) Attention to detail – Ryan doesn’t miss a beat. He knows the business very well and takes extra time and attention to ensure the process is carried out accurately and efficiently. Everything was done in the best interest for the client, every detail and explanation was well explained and made a very comfortable feeling. As a first a first time home buyer, I leaned on Ryan Lowe at every moment of the purchase and he treated the whole process as if he were buying the home for himself. Every detail was brought to my attention (positive & negative) and couldn't be happier with my new home! My wife and I were in the process of looking for our first home. Ryan was wonderful to work with during the whole process. He was very flexible with working with our schedules and was very quick to respond to any questions about the home search process. It did not matter any day of the week or hour of the day. I will recommend working with Linda and Ryan Lowe every time for looking for a new home. Ryan was incredibly helpful and very patient. My husband and I were trying to buy a home with one of us living in Pennsylvania and the other in Oklahoma, which made things more difficult. But, Ryan worked with us in the short period of time we had to find the perfect home then guided us through every step of the negotiation process and eventually closing. Ryan and his team always went above and beyond our expectations. I would highly recommend their team to anyone looking to buy a home in the central PA area. I can't say enough positive about Ryan and Linda. It's been just over 3 years since they helped us find a buy a house and how hard they worked for us STILL impresses us. It's not just the finding a home, but once we found the home we wanted, they were invaluable in helping us find the right professionals to get the house inspected and checked to make sure that nothing was going to surprise us later, and when the FHA required us to paint a brick wall, they helped us find someone who was not just able to do the job, but able to do it NOW.... in the middle of a January snowy day! This was critical for us as we HAD to be out of our old home by a certain deadline and we knew absolutely NO ONE in the area. Without Ryan and Linda's excellent service, we never would have made it! I could go on for a while, but I think you get the point. You CAN NOT find a better team than Ryan and Linda. If and when we ever decide to move, you can be certain we'll be going back to them! We were new to the area and received excellent support from Team Linda & Ryan Lowe when trying to find a home that suited our needs. Great communication was the key, as they "listened" through the entire process, respected our concerns and ultimately found a home that is perfect. Five stars all the way and recommend them to everyone!! Linda and Ryan have sold two homes for me over the years and helped me purchase a third. They are professionals with a network that allows for the amazing to happen. Whether it is performing under inflexible time deadlines or handling stringent price requirements with little flexibility, they always manage to get it done and meet every requirement or special request. They are the "go to" realtors! I could not have been happier with the way the whole process went. Ryan was excellent, and there is a reason he and Linda are the best year in and year out. I will recommend him to anyone I know who's buying a home. As a first time home-buyer, I also learned a lot in the process from Ryan. I actually tried another realtor first and could barely get a hold of the guy over email and/or phone...I never had that problem with Ryan. We literally went from looking at the home to going back and forth on an offer until an agreement was reached with the seller’s in about 36 hours. After receiving a job offer in the Centre Region, a family member recommended we contact the Lowe Team to help us in finding our new home. For several weeks, Mariam Lowe assisted us in finding a home that would meet the needs of our large family. Despite the many stresses that come with moving a family of 7 across the country, Mariam left us assured that we would find a home that would work for our needs and within our budget. It was comforting to know that we were not alone through the home purchasing process and that we had a strong advocate making sure we didn't miss any steps along the way. Mariam went the extra mile in helping us stay on top of our lender to ensure we could close on schedule and move into our new home. Despite the stressful process that purchasing a home can be, the services we received from Mariam and the Lowe Team were exemplary and allowed us to avoid many pitfalls and delays that could have prolonged the process. In the future, we will not hesitate to recommend Mariam and the Lowe Team to our family and friends. We have worked with the Lowe group several times and they are always extremely responsive and professional. We worked with Mariam for over a year to find the "right" house with a large lot. She was always very patient and had our best interest in mind--there was never any pressure to purchase a home even as the search went from weeks to months to over a year. Mariam was extremely responsive and was always quick to get us in to view homes as soon as they came on the market. She was willing to give her professional opinion to help us make an educated home buying decision. I recommend her and the entire Lowe group to everyone in the area who needs to sell or buy a home. We will be using them again in the future if we ever have additional real estate needs!!! We recently purchased our first home and were thrilled to have Linda & Ryan Lowe help us through such an exciting process. From visiting multiple houses to answering countless questions, Linda & Ryan were there each step of the way. We will always remember buying our first home and remain grateful to Linda & Ryan for making it such an enjoyable experience. We couldn't be happier to recommend Linda & Ryan, and their entire team! Experience was great. Mariam was very helpful and enjoyable to work with. She was always available and very patient with our decision making. I purchased my home through Linda and Ryan Lowe and if the time ever came to sell I would again choose them to list our home. Mariam was, in a word, GREAT! She kept us up to date with all potential homes we were interested in and wasn't afraid to offer her own opinion to help guide us along the way when necessary. She was always available to us, even outside of "normal" business hours" - which was good for us, since that was when WE had the time to turn our attention to the home buying process. We were from out of town, and Mariam was able to tee everything up for us to make our trips to State College as productive as possible -- from well timed/organized showings to a very smooth settlement process. We couldn't be happier. In fact, we have already had Mariam help us with the purchase of a piece of land and subsequent home on that land. When we decided it was time to downsize to prepare for retirement, the Lowe's where there to help sell our older home and buy a new condo. Remarkably, this all happened within 90 days, thanks to the expertise of Linda, Mariam and Ryan Lowe. This team worked relentlessly to negotiate the buy-sell of the two properties. They not only met our budget but found the perfect new home as well! They really know the market. What we wanted was the first thing they asked us when we first met. And I can honestly say that throughout the process, my wife and I never once doubted the Lowe's ability to make it happen for us. My husband and I only had one day to come up to the area to look at homes. Luckily, Linda and Ryan's team (Mariam) were able to help us out quickly and efficiently, and we didn't have any trouble settling on the house and negotiating with the sellers. Their expertise helped remove a lot of the stress involved in our move. I was referred to Linda & Ryan Lowe by a friend of mine when I was looking to buy a townhouse as a first-time home buyer. Mariam Lowe was my buyer's agent and she was phenomenal! She was very patient with me to explain the home-buying process and was honest with me the entire time (even pointing out negative points about some properties I looked at that I'm glad I didn't buy). I loved that she was very quick to respond to my emails (almost immediate) and helped me negotiate to a buying price I was able to afford. I would definitely go with Lowe Realty again if I need to buy or sell. I highly recommend them to anyone. Mariam was awesome - and very patient :) - in helping us find the perfect home. We looked at tons of houses, and she was bound and determined to find the right fit for us. She's also SUPER responsive and was willing to help us with her honest opinions when asked. Even though selling our old home was a nightmare (not by any fault of the Lowe team) I would absolutely use this team again. When my Fiance and I decided to purchse our first home together, we wouldnt have even thought of trusting anyone with our Real Estate needs other than Ryan and Linda Lowe. When we ran into the last minute items needed for our closing Ryan stepped up to the plate and made sure he was there around the clock for us. The Lowes are truly experienced professionals and we wouldn’t hesitate to recommend them to others. Over the past 7 years, I have bought and sold 5 times with Linda and Ryan Lowe.They really go above and beyond. I highly recommend them to anyone looking for a realtor that listens to what you want then finds it! I tell everyone about the great experience i had! I have referred multiple people, and will continue to in the future! I never felt like i was annoying, or bothering, and was always reassured that I could call with any question, or concern no matter what time, or what day it was. Ryan even helped me with things he didn't have to...now that's above and beyond customer service! I've thanked them multiple times, but once again Thank You!!! Ryan Lowe and his team were extremely attentive and understanding of my financial and personal needs. Ryan went above and beyond to work with my father and I throughout the long distance selling process. He was professional, personable, and honest. I would recommend Ryan and his team to any interested buyer or seller. Ryan Lowe worked with us on two real estate transactions, a townhouse purchase and a townhouse sale. He is personable, conscientious, professional and efficient. Ryan's knowledge of the process and ability to communicate with us concerning the things to do proved invaluable. In a slow market his advice helped us to buy and sell quickly. He made the process nearly seamless, and we certainly appreciate all the hard work he did to make things go smoothly. Ryan Lowe is an experienced professional, and we were very pleased with his knowledge and proficiency. Nobody in the area is more knowledgeable about the real estate in Central PA than Linda and Ryan Lowe. I am currently in the process of purchasing my second home through them and I couldn't be happier with their service. I never feel rushed and they continually go above and beyond what I expect of them to make sure I find exactly what I am looking for. No one will work harder to put you in the home of your dreams! Ryan was great to work with. Very quick and getting back to us, and keeping his answers simple for us to understand. He did very good job in educating us about his recommendations. I have already referred him a few times, and plan to continue doing so for anyone that may be interested in purchasing or selling real estate. Linda Lowe sold our house when previous agents could not. This is an outstanding team of real estate professionals, and I highly recommended them! My wife and I were first-time homebuyers and we were so glad we chose to work with Ryan and his great team! Ryan helped us through the process, taking the time to explain each step along the way. He worked tirelessly on our behalf during the search and during negotiation. Also we were able to secure a loan through a lender he recommended and the loan officer was fantastic! Ryan knows real estate and he knows the State College area. I have used Ryan as my buying agent to purchase two homes in the State College area. I've had a lot of friends complain about how much work goes into buying a home. I didn't have that experience at all because Ryan was willing to do anything and everything to make the process as easy on me as possible. I plan to use Ryan anytime I have to buy or sell a home in the State College area. I don't think it is possible to find a better real estate agent! Ryan worked with me every step of the way in the search for my house. As a first time home buyer, I wanted somebody on my side that I could trust. He had a good working relationship with the bank and inspector I chose. I have already recommended Ryan to others and no doubt will continue to recommend him. Thanks again Ryan. Ryan gets the job done for you. He is on time, is always communicating with you, and will work his tail off to make sure you see the results that you want. He is patient, has great knowledge, and has become a true friend through our working relationship. While we can compliment Ryan's professionalism, knowledge of the market and excellent hand in advising us on the purchase of our home, our greatest recommendation is... he listens! Ryan was a pleasure to buy a house with. He went above and beyond to show us properties at all hours of the day and night, making sure we got to see every possible property. He was informative and made sure we understood every step from the offer through the closing. I would recommend Ryan to anyone looking for a great Realtor. Ryan is a high energy professional that works for you on both sides of the transaction. His local knowledge and customer oriented approach make all the difference. We used Ryan Lowe as our real estate agent in 2008 to purchase a townhouse in State College for our two children who were attending PSU. He was friendly and professional, and we liked his proficiency and conscientiousness so much that we hired him again three years later to sell the townhouse after our children graduated from college. Ryan handled so much of the business end that we did not have to make repeated three hour trips to handle the sale of the house. He was able to communicate a level of real estate expertise to two generations of involved participants, both my wife and I and our two children. His accountability, honesty and efficiency made these two major transactions nearly seamless. I recommend Ryan Lowe without hesitation. I would highly recommend Ryan to anyone who is looking to buy/sell real estate. We enlisted Ryan's help to sell our first home in early 2011. Great to work with is an understatement when describing Ryan and his team. Ryan was available 24/7 to answer any of our questions and to find creative ways to market our property. He made the stress of the buying and selling process extremely easy.